These are not the best of times for football, arguably America’s most popular sport. Although football’s popularity remains at a frenzied high and continues to generate substantial revenue in the pros and for many leading collegiate programs, the sport is in the midst of its toughest PR campaign in a century. First, there was the steady drizzle of news reports and medical studies that suggested a link between concussions sustained playing football and brain damage. Initially, NFL officials denied there was a link. Then earlier this year, the NFL settled a class-action lawsuit brought on by more than 4,500 former players for $765 million. The money will be used to help offset the costs of some of the medical expenses incurred as a result of concussions suffered as players. In recent months, several former college football players have filed lawsuits against the NCAA for concussions they allege they sustained as student players. In the wake of recent reports linking playing football to brain damage, the number of parents who say they will not let their sons play football is rising. In October, the Marist College Center for Sports Communication and HBO Real Sports released poll results that showed that 55 percent of Americans and 60 percent of football fans have heard “a good deal” about the link between football concussions and long-term brain injury. It was also revealed that 35 percent of parents with sons said they would be less likely to allow their sons to play football because of the link between concussions from football and long-term injuries. That percentage is slightly higher for parents who are college graduates. In addition, the poll revealed that 66 percent of fans who earned more than $50,000 a year were more likely to have heard a good deal about this link compared to 47 percent of those who made less than $50,000 a year. Higher-income people tend to be better educated and, thus, are also more likely to be better informed about current events. “Information is reaching a lot of people, but it is reaching those who have higher incomes,” says Dr. Keith Strudler, director of the Marist College Center for Sports Communication and an associate professor of sports communication. Although the poll did not explicitly ask about race, the results raise questions about the future racial demographics of players, including at the college level. Strudler says the possibility of athletes from lower-income backgrounds, many of them racial minorities, playing the sport for the benefit of the affluent has become more likely. “That’s what boxing has largely become in this country, where people from poor or less educated families fight and events are attended by and bet on by wealthy audiences,” Strudler says. Richard Lapchick, director of the Institute for Diversity and Ethics in Sport at the University of Central Florida in Orlando, says the HBO Real Sports/Marist poll results could have some implications for the demographic makeup of college football athletes. “I think there’s the possibility that the population of African-American or Latino football players would remain the same and the population of White players would go down,” says Lapchick. Dr. Harry Edwards, a professor emeritus of sociology at the University of California, Berkeley, an expert on African-American athletes and consultant to the San Francisco 49ers and several universities, notes that a large number of college football players are already from minority and disadvantaged backgrounds. If attitudes from the polls hold, he says, there could be fewer Whites and considerably more lower-income Blacks with limited economic opportunities playing college football. Blacks make up 51.6 percent of players in the Football Bowl Subdivision—the elite group of 120 college teams that play in bowl games and the BCS national championships—while Whites make up 43.3 percent, according to the Institute for Diversity and Ethics in Sport. For all Division I colleges, the breakdown is 46.4 percent White and 43.2 percent African-American. The numbers are vastly different in the NFL, where approximately 70 percent of the players are Black. Reports have persisted for years about the link between concussions sustained while playing football and long-term brain injuries. More than a decade ago, a study presented at a meeting of the American Academy of Neurology showed that 61 percent of NFL players had sustained concussions. In lawsuits, many players have complained they were forced to play in spite of the fact that their coaches were aware that they had suffered concussions. Many former players have said they deal with side effects that include numbness and tingling, neck or cervical spine arthritis and difficulty with memory. Many have reported being unable to feed or dress themselves. There have also been several reports of suicides and suicide attempts by former players. For years much of the discussion of football-related injuries has been focused on the pros. But the spotlight is beginning to shine on college football as well, which continues to battle an image problem over poor graduation rates, low numbers of African-American head coaches and corruption. Still, it is unclear how this steady flow of brain-injury-related reports might affect the game’s demographics. Experts say using data from science to change people’s minds can be complicated. Several experts say it’s still too early to tell if college football will become a sport overwhelmingly dominated by lower-income minorities who perform before mostly White spectators. They say it will depend on several factors, including whether there is a sufficient public outcry that forces organizers to reform the sport. Experts also say it would be difficult for football to go the way of boxing, which in the last half century has become a sport that is overwhelmingly dominated by Blacks and Hispanics and has fallen steadily in popularity. Football is very deeply ingrained in the nation’s culture, they say, and it is the signature team sport at many middle schools, high schools and universities. 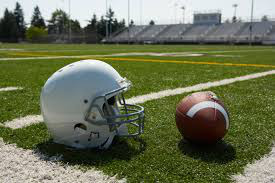 “One of the reasons why college football has the status that it does is because [it is] supported by public schools and accessible to all sorts of classes,” says Coakley, adding that, if the college football concussion lawsuits go forward, it may force many school districts and athletic sponsors to rethink their association with the sport. But if the NFL and other football powers are unable to ride out the storm, Strudler says keep on eye on the rising popularity of sports like soccer and lacrosse and their potential impact on football. “There’s more top league soccer being broadcast in this country,” he says. “There’s a growing fan base interested in watching top quality soccer. One of the reasons why kids stopped playing soccer is to play football. That may not happen again.